Manduu® EMS workouts use electrical stimulation of the muscles to help you get the workout results you desire. The exercises are utral low impact and the results are measured. It is 15 minutes that can change your life. 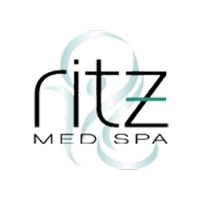 The Manduu team inside Ritz Med Spa in Franklin, Tennessee, is excited to offer the revolutionary Manduu EMS workouts to help you on your quest for better overall physical wellness. Call Ritz Med Spa for your Manduu EMS workout. How Do You Get Started With a Manduu EMS Workout? This takes only a couple of minutes and gives your trainer the information needed to suggest the best and most effective workout. Next, you'll suit up for the workout. You'll be given a special outfit, somewhat similar to a scuba outfit in appearance. This special outfit allows for electrical muscle stimulation in key muscles via electrodes. After that, the electrodes will deliver gentle energy pulses into many muscles at once. You'll follow along with a customized workout while the electrodes deliver extra stimulation to the muscles. This allows you to work out for less time but still get great results. The average Manduu EMS workout is only 15 minutes long. The treatment is pain-free. Many patients compare the sensation of electrical muscle stimulation to a light massage or a gentle tickle. Who is a Good Candidate for Manduu EMS Workouts? To engage in Manduu EMS workouts, you should be in good overall health, with no major heart problems. If you're looking to get a complete workout in a short period of time, you may be the ideal candidate for the Manduu EMS workout system. Why are Manduu EMS Workouts So Effective?